Get extra lucky with Lucky Animals! Having fun in our GrabHitch Match & Win Zodiac Contest so far? 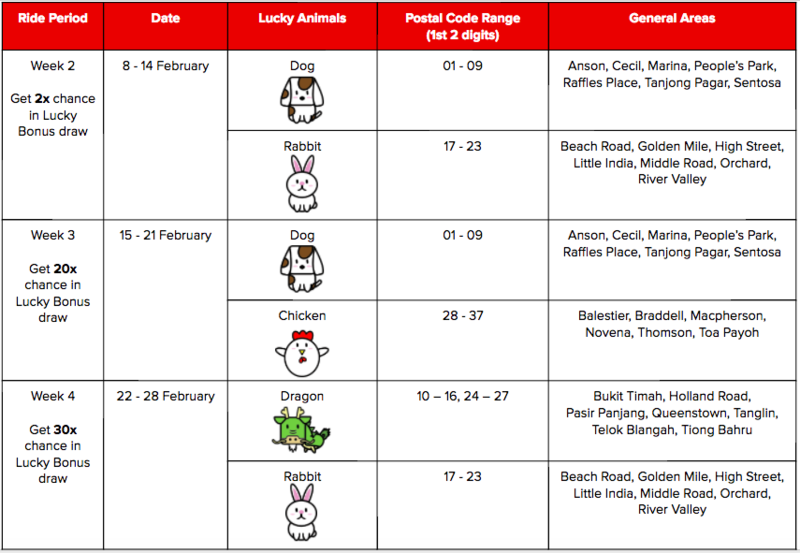 From Week 2 onwards, you get to increase your chance of winning in the weekly Lucky Bonus draw by collecting the designated Lucky Animals of the week! Chances earned each week will be rolled over to the Grand Lucky Draw where 3 x $1,888 cash, 2 x $1000 Shell Fuel vouchers and 2 x $500 NTUC FairPrice vouchers await the lucky ones! Note: Collecting these Lucky Animals solely gives extra chances in the Lucky Bonus draw and does not affect the determination of winners for the weekly Tier 1, 2 and 3 prizes. Please refer to the main contest page for the full contest mechanics and prizes. Happy Hitching in the new year!